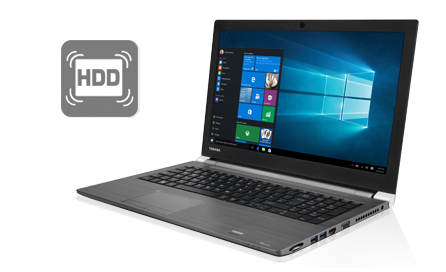 Toshiba Tecra A50-C-1GF 15.6" Best Buy Laptop Core i5-6200U, 16GB RAM, 256GB SSD. 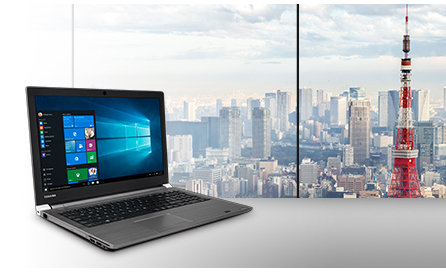 Built on 30 years of experience in manufacturing premium laptops, Toshibas Tecra A50-C and your business are the perfect match. The A50-C is designed for long-lasting versatility, while also remaining professional with a slim appearance and subtle, yet distinct design striking a balance between aesthetic appeal, exterior durability and interior performance. Fulfil your users business requirements with high performance and reliability. The power of an Intel® Core CPU up to i7 helps users stay productive from the start of the day right through to its end. And inside, premium components meet the high standard of quality for which the Tecra series is renowned. 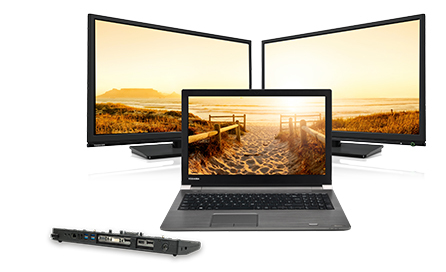 Intel® HD or Nvidia GT930M graphics ensure a clear view from the 39.6 cm (15.6) HD or Full HD screen, while the optional 256 GB SSD means that your business most important documents, data, and media are to hand, in and out of the office. Spill- and drop-resistant, the Tecra A50-C is designed to withstand the challenges of mobile usage, as tested and proven by the devices H.A.L.T. compliance. 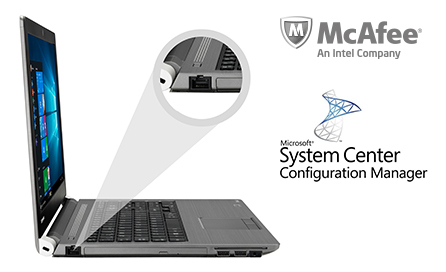 Inside, the 3D HDD Impact Sensor protects the HDD in the event of physical damage, keeping your business-critical data intact, while outside, a silent heavy-typer keyboard withstands even the most demanding workloads. Manage a single Tecra A50-C, or an entire fleet with ease, thanks to a number of features that enable remote control and network-based management. The integrated high-speed Gigabit LAN facilitates rapid delivery of patches from an SCCM infrastructure, while the WMI-enabled bios allows the same SCCM system to remotely manage and configure all settings. Whats more, the A50-C is protected by McAfee LiveSafe software from the moment the device is turned on. 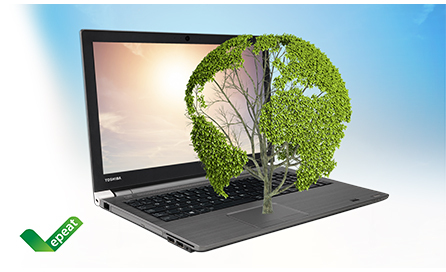 Take control of your business energy consumption by better managing your power settings with Toshibas Eco Utility software, built into the Tecra A50-C. The device is also EPEAT certified, confirming it as eco-friendly, and has qualified for the latest Energy Star rating for its state-of-the-art energy efficiency. EPEAT registered in UK, France, Germany and Spain see www.epeat.net for registration status by country. 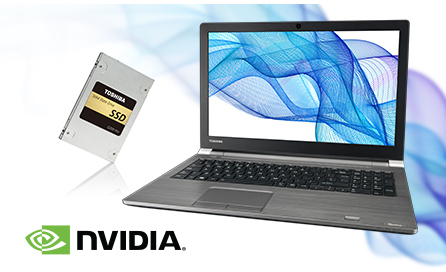 While the Tecra A50-C is a great standalone business laptop, its benefits can be extended even further with a range of licensed Toshiba accessories. Increase the number of ports and make your A50-C into a connection hub with the Toshiba Dynadock or HSPR III docking station, and support heavier workloads with B2B-specific external storage devices, whether they be HDD, SSD, SD Cards or USB sticks. 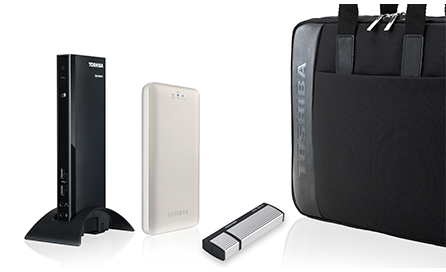 And for protection throughout the day, Toshiba also offers a range of bags and sleeves allowing you to tailor the Tecra experience to your users exact requirements.